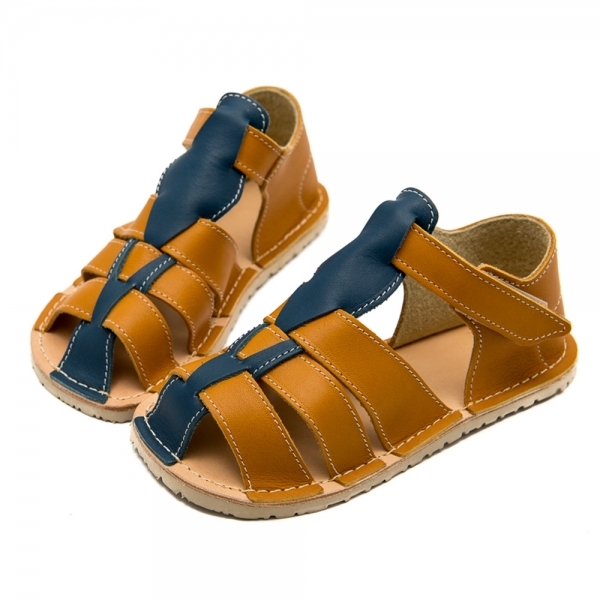 Soft sandals from genuine leather. Sizes EU 25/26 - 34. Appropriate for outdoor use in kindergartens, yards, sandboxes, etc. 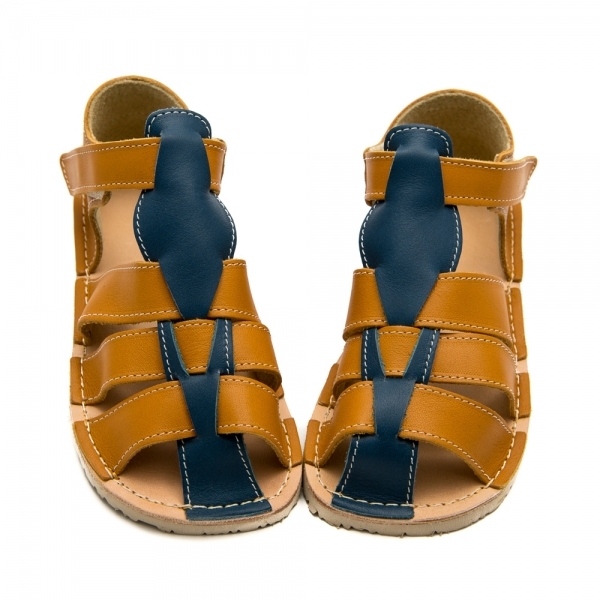 This model has a large toe box which helps the thumb to assume the best position for the body weight to be taken in. HOW TO DETERMINE THE SIZE: Print the sizing chart for this model here. If you do not have a printer, use the instructions and the sizing table below. Measure the feet as described here. 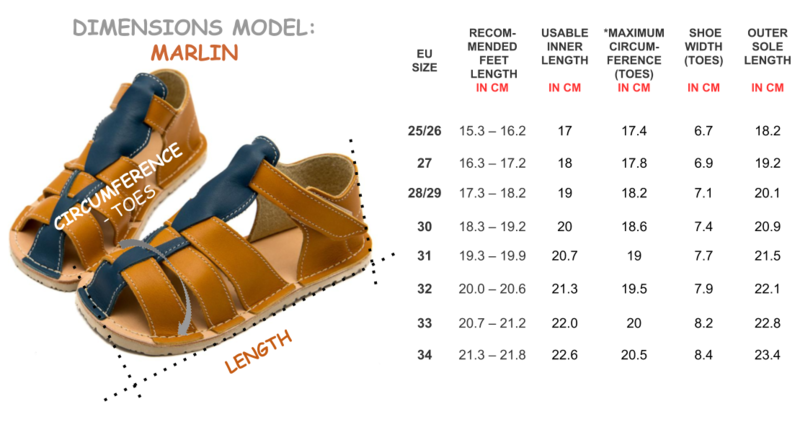 **If you have bought Marlins previously, please note that there is a change in the sizing valid since May 28, 2018. Please refer to the table here and compare with your previous pair. Excuse us for any inconvenience caused - we changed the sizing based on your feedback. My son an me love these sandals, he wears them every day if weather wise possible. Will definitely buy again. 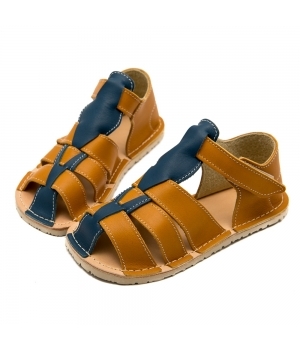 my kid loves the sandals .flexible and comfortable . would prefer a suede foot bed but apart from that great.